As if uncontrollable economic contagion was not enough for the administration, Obama is now willing to add geopolitical risk to the current extremely precarious economic and financial situation. 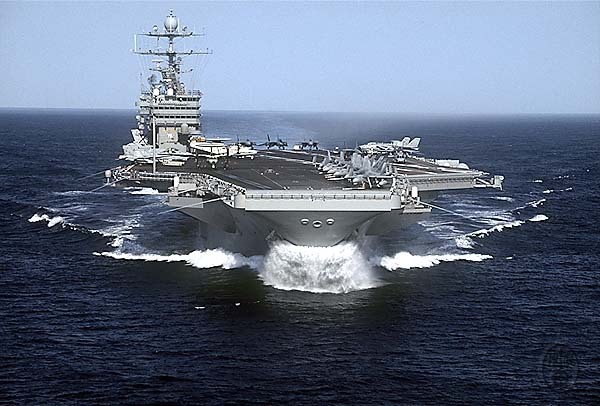 With just one aircraft carrier in proximity to Iran, the Nobel peace prize winner has decided to send a clear message that peace will no longer be tolerated, and has decided to increase the US aircraft carrier presence in the region by a 400-500% CAGR. We can’t wait for Iran to feel completely unthreatened by this escalation and to decide to take no action whatsoever as the Nobelists push it even more into a corner from which the only escape, to a rational player, would be outright aggression… Which begs the question just how an irrational player would react. Cool I hope we hit them asap.